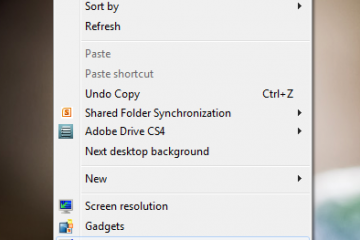 Windows Explorer: What's new in Windows 7? Windows Explorer has gone through some significant enhancements in Windows 7, featuring a more refreshing, cleaner design that focuses on simplicity and accessibility. In this article we take a look at some of the changes and improvements such as the new text only Command Bar buttons and Libraries which focuses on aggregating data from desperate locations shared between multiple PC’s within your home network. Windows Vista introduced changes to how you navigated Explorer. The Bread Crumb address bar introduced in Vista featured a great way to move between folders and different paths within a folder hierarchy, nothing has changed here but the Address bar is more customizable allowing users to resize the Search box or Address Bar region. 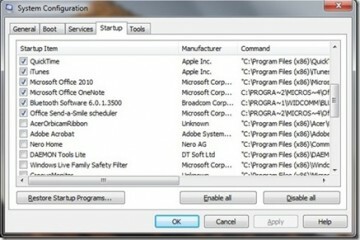 The Navigation pane has been simplified into multiple categories such as Favorites, Libraries, Home Group, Local Computer and Network, while the details pane at the bottom of the window is much thinner in height. 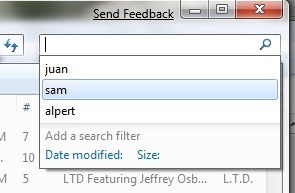 The Search Field in each Explorer shell now features the name of the area in which you’re searching, for e.g. Search Documents, Search Music, Search Pictures etc. Activating the Search form also reveals small improvements such as saved searches called Search Scopes criteria based filters for content in the different Explorer shells, such as Authors, Date Taken, delivering more accurate results. Command bar in the shell folders seem radically different, over the years Microsoft has adopted a slightly improved look and feel with each release of Windows, Windows 98 introduced a web inspired Command Bar and Vista featured a more static less controlling change. Windows 7 is not much of an improvement; menus are now text only arranged on the left with buttons on the right for configuring icon previews and window layout. An even more simplified Command Bar with simplified layout for organization and customization. 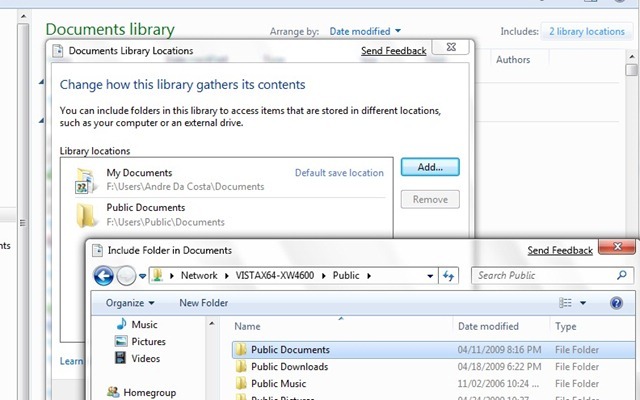 Common Shell folders such as Documents, Music, Pictures, Videos and Downloads are known as Libraries. Modifications have been made to how data that might be scattered across your hard disk and network locations are viewed and accessed. 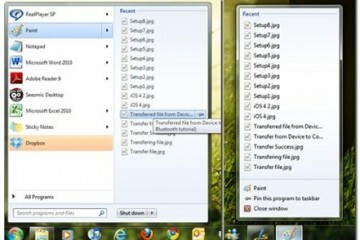 For instance, the old Shared Documents folder from XP or Vista’s Public folders are less prominent in Windows 7. They still exist and are critical when sharing data with multiple computers on a network. But what has happened is that Libraries makes accessing the data from these disparate locations much easier, a file added to the Public Document folder is automatically aggregated into the Documents Library. Of course, you might say, there are some things I don’t want to have mixed up with my Personal Data and prefer to keep them in separate locations. No worry, you still have access to your Personal Shell folders under your User folder. You can create your own Library too and add specific locations to them and data from those locations will be automatically aggregated from there. Only you can decide whether you want information from your personal Libraries to be shared and you change this setting even after setting up a HomeGroup. Libraries takes advantage of new technologies such as Home Groups and will be an asset especially if you are the type of user who has a laptop that connects to a Domain at work, but still want to access data on your home network without having to mess with your workgroup settings just to do so. Common Library folders on their pedestals. Inside of the Documents Library. 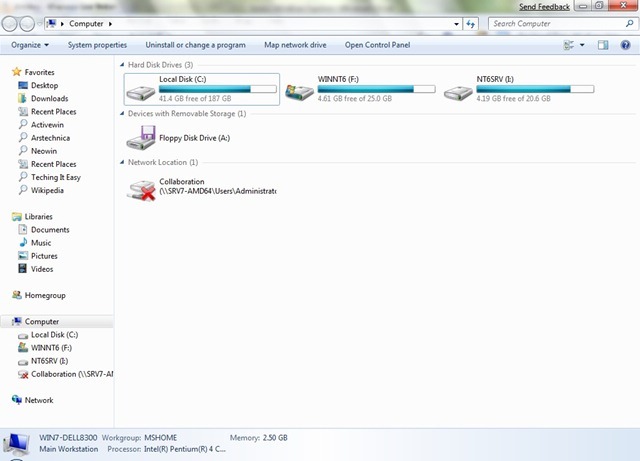 Adding a networked folder to my Library Locations from another PC for easy access and searching. Libraries are a new experience in Vista that streamlines the process of managing the array of information users have scattered across their PC. Organization was a key focus of Vista, but regardless you tried your best to keep your files in their appropriate locations photos in the Pictures directory, videos in the Videos directory, audio in Music directory, etc. You still ended up having a lot of files stored in folders you either create or parts of the system such as the desktop out of quick convenience. With Libraries, you don’t have to remember exactly where you stored a particular photo or search multiple places to find what you need. 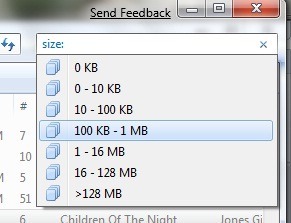 You don’t even have to keep multiple copies of the same file around. With Libraries, you can not only organize, but view and manage files that that are stored in more than once place. This reduces the need to view files even when they are stored in different folders. Libraries are so powerful that they even span different disk drives, PCs on your home network. 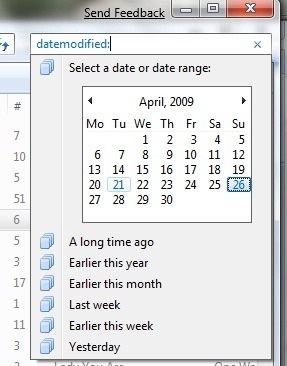 There are a range of options for organizing and browsing, by type, date taken or genre depending on the file type. The power of Libraries grows when combined with rich capabilities of Home Groups, meaning; families can get in on the fun by accessing a shared library with the right permissions setup. 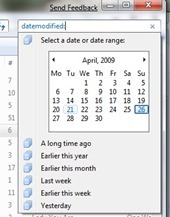 Windows 7 Explorer Search features expanded search capabilities, options such as Saved Searches and Search Scopes make finding information even more accurate and detailed. The Search Explorer is very minimalist in Windows 7, showing only a blank canvas with the Search box activated for a few seconds. 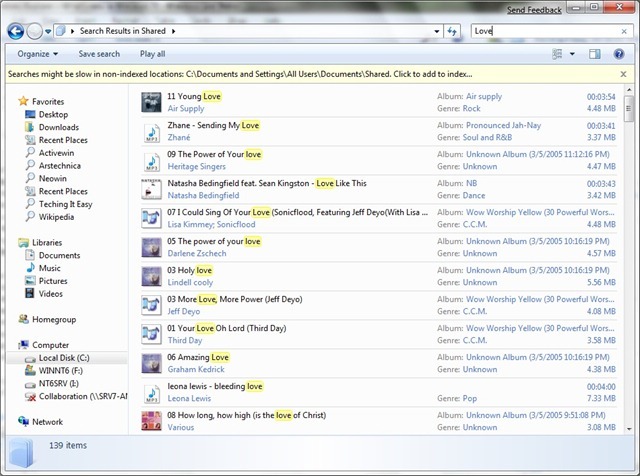 It’s all about simplicity, previously in Vista, the Search Explorer displayed common criteria’s such as Documents, Pictures and Music. 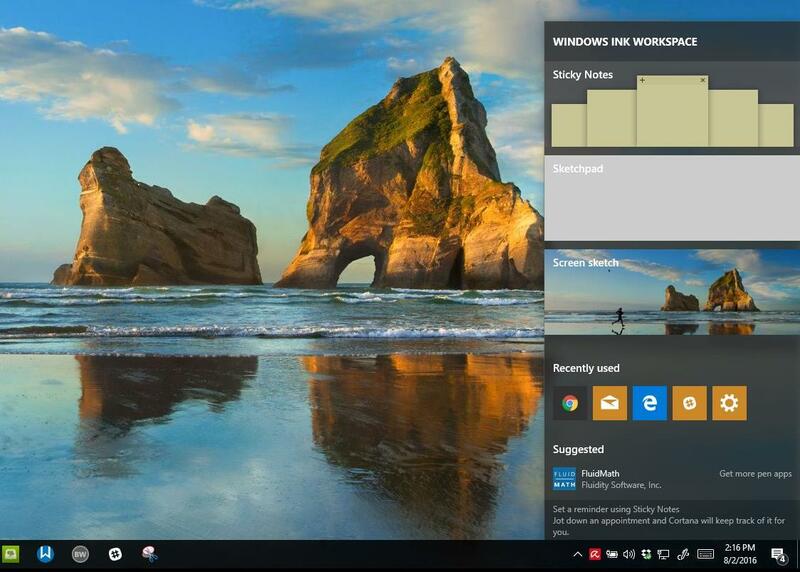 Because of the tight integration with Libraries, you can search beyond the PC right at the Start menu. 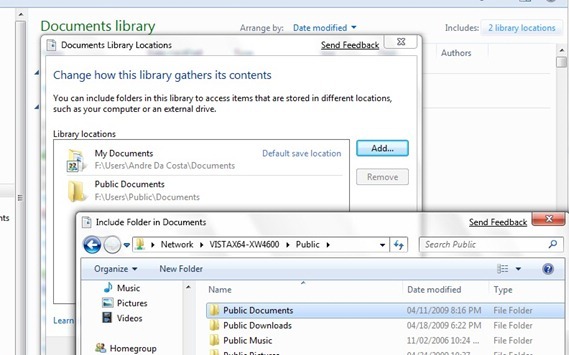 When Searching across multiple PC’s in a corporate setting, Administrators can fine tune how a search is executed with the ability to define up to five search destinations. 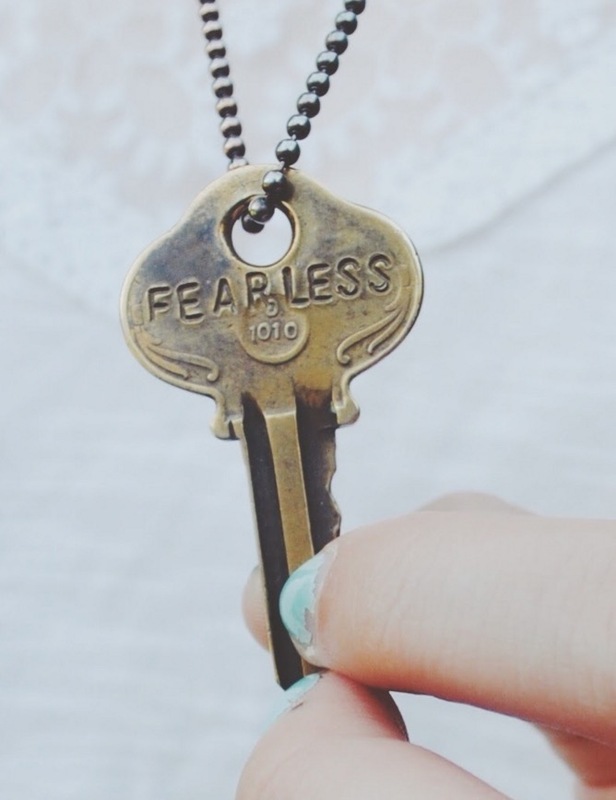 All of the search processing is handled on a remote server and results are presented to you within your comfort zone. This sounds complex and it is, but Windows 7 is subtracting the complexity out of it and presenting you only with ease of use part of the equation. Search highlights – a wicked cool feature that makes criteria based searching a fun activity. You can even search other locations on the fly while you are at it! 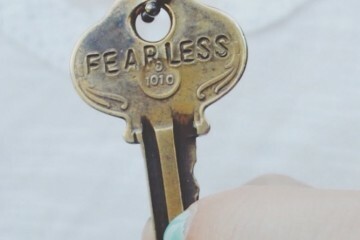 Yes, I am a big 80’s fan so what?!? Network Explorer in Windows 7 is even more organized. One of the things I didn’t like about Windows Vista’s Network and Sharing Center was the abundance of network related Task a user had to contend with. 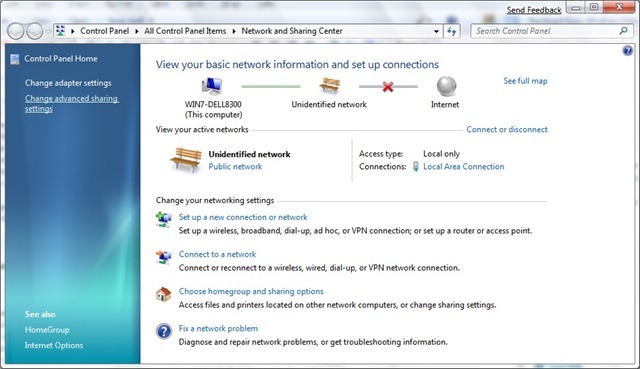 Windows 7 adds simplicity to this by consolidating Task in the Network and Sharing Center to a separate area called Change your network settings:, here you will find familiar options such as Connect to a network, Setup a new connection or network, Diagnose and repair (now ‘Fix a network problem). Sharing and Discovery now has its own dedicated Explorer shell, located under task called â€˜Change advanced sharing settings’. 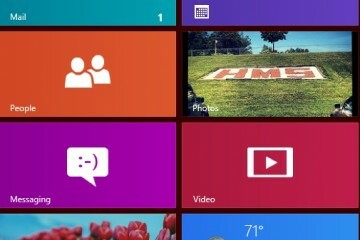 Windows 7 brings some very welcome changes to working in the Windows interface. Small, subtle changes to Search, navigation and even customization make Windows 7 a joy to work with on a daily basis. 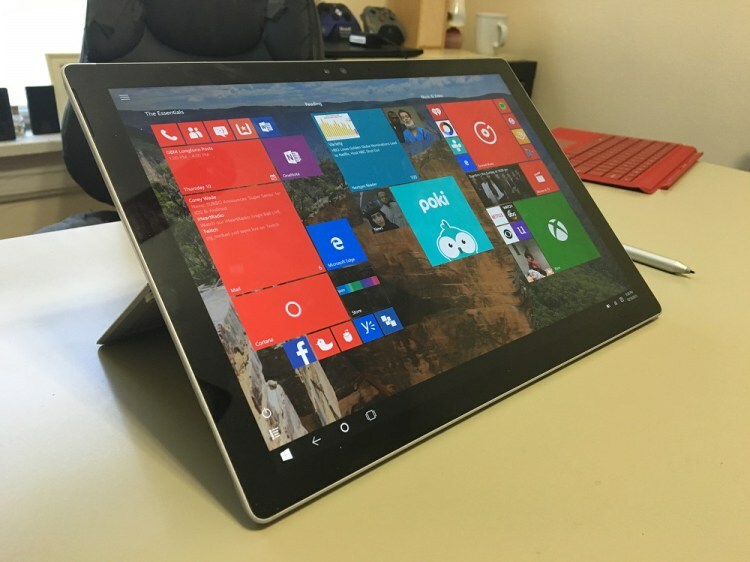 Users today have an overwhelming amount of information stored on their PCs and various devices, keeping it all organized and accessible can be a chore, Windows 7 takes the complexity out of that and I think its the gem of this release a lot of users will discover they could never do without. I know this is no news now about the article, but the bugs are. 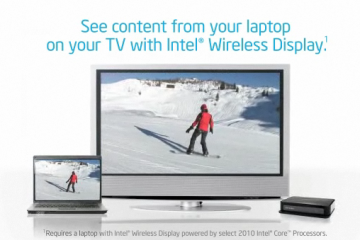 even if from the “birth” of Windows 7 are still there and have never been corrected. What about the fixed longitudinal movement on the Explorer folders list that if we have many subfolders of subfolders just slides out of view?